Rebecca Williams discusses her film with the audience before the viewing. Students gather for the film’s viewing. Documentaries are a modern way of sharing information. According to the Cambridge English Dictionary, a documentary is “a film or television or radio program that gives information about a subject and is based on facts.” Documentaries are not only a great source of information but serve as great entertainment as well. 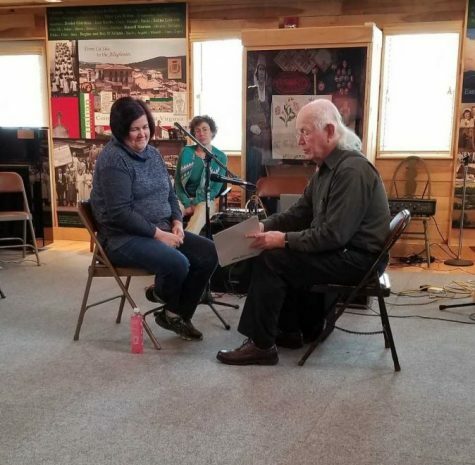 Tuesday, February 19th, I had the pleasure of enjoying a documentary myself at The Frank and Jane Gabor West Virginia Folk Life Center. 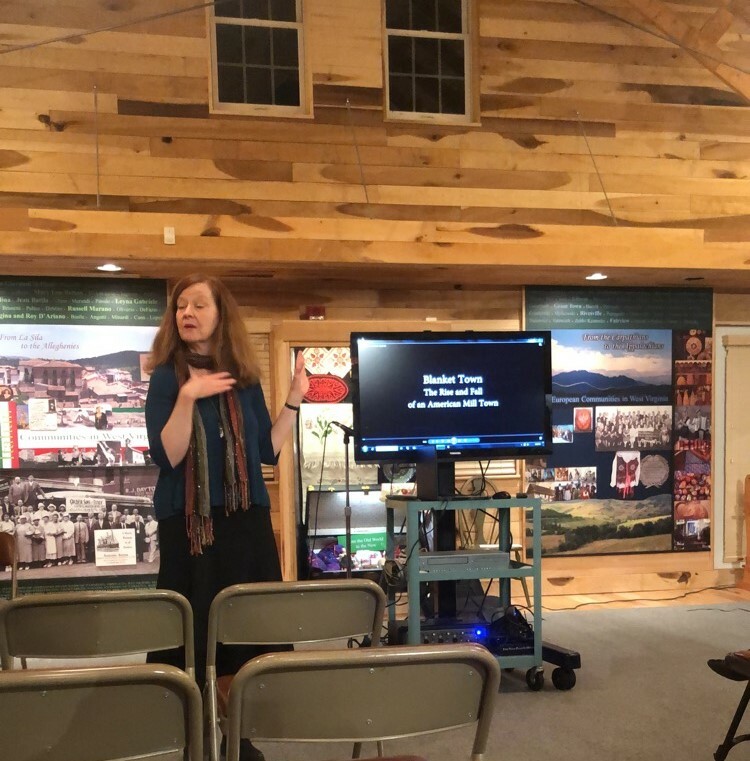 This documentary was titled, “Blanket Town.” The director and editor of the documentary, Rebecca Williams, a theatre director, filmmaker, educator, and oral historian, was also in attendance. After discovering her passion for digital storytelling and filmmaking, Rebecca graduated from Duke University’s Center for Documentary Studies. 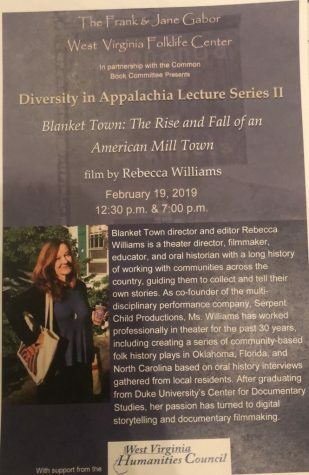 “Blanket Town” took place in Rebecca’s current home town of Swannanoa, North Carolina. Her documentary, which was shown as a “rough cut” on Tuesday, follows the rise and fall of the textile industry in Swannanoa. Beacon Manufacturing company quite literally built Swannanoa and brought many jobs to poor farmers as well as a sense of community and family to the newly built town. 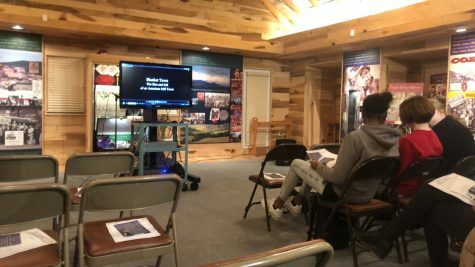 The story uses old film clips, interviews from old Beacon workers, Swannanoa residents, and historians to inform viewers of how big of a historical impact Beacon had on Swannanoa. It also includes many differing opinions from various interviewees to give viewers different perspectives on Beacon and Swannanoa. Swannanoa was built and molded by Beacon, and although the factory has long been shut down, the impact it had and the meaning it has to residents of the community it formed are still relevant today. The relationship North Carolina had with the textile industry mirrors West Virginia’s own relationship with coal. 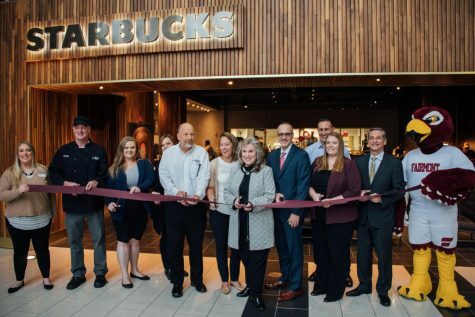 Both great industries were bringing in a lot in revenue at one time, providing the average American with jobs, building small towns into bustling hubs and are now ghosts of their former selves. Overall, Rebecca’s documentary was informative and well put together. It was very interesting to hear how an industry shaped so many people’s lives. A flyer from the documentary showing with some background information about Rebecca Williams and her documentary.